Moisturizing: Aqua (Water) with Fucus Vesiculosus (Bladderwrack Seaweed) Extract, Aloe Barbadensis (Aloe) Leaf Juice, Sodium C14-16 Olefin Sulfonate, Cocamidopropyl Betaine, Argania Spinosa (Argan) Oil, Hyaluronic Acid (potato starch), NaPCA (amino acid), Panthenol (Pro-Vitamin B5), Vegetable Glycerin, Ricinus Communis (Castor) Seed Oil, Hydroxyethylcellulose (plant derived), Babasuamidopropyl Betaine, Citric Acid, Sodium Laurylglucoside Hydroxypropylsulfonate (vegetable derived), Decyl Glucoside, Sodium Cocoyl Glutamate, Polyquaternium-44, Gluconic Acid (plant derived), Polyglyceryl-10 Laurate, Sodium Benzoate (natural version), Amodimethicone, Potassium Sorbate, Tocopherol (Natural Vitamin E). Smoothing: Aqua (Water) with Fucus Vesiculosus (Bladderwrack Seaweed) Extract, Aloe Barbadensis (Aloe) Leaf Juice, Sodium C14-16 Olefin Sulfonate, Cocamidopropyl Betaine, Argania Spinosa (Argan) Oil, Borago Officinalis (Borage) Seed Oil, Brassica Oleracea Italica (Broccoli) Seed Oil, Panthenol (Pro-Vitamin B5), Linum Usitatissimum (Flax) Seed Oil, Sodium Cocoyl Glutamate, Polyquaternium-70, Vegetable Glycerin, Hydroxyethylcellulose (plant derived), Babasuamidopropyl Betaine, Ricinus Communis (Castor) Seed Oil, Citric Acid, Sodium Laurylglucoside Hydroxypropylsulfonate (vegetable derived), Citrus Sinensis (Orange) Essential Oil, Polyglyceryl-10 Laurate, Sodium Benzoate (natural version), Potassium Sorbate, Amodimethicone, Citrus Reticulata (Mandarin Orange) Peel Extract, Decyl Glucoside, Gluconic Acid (plant derived), Tocopherol (Natural Vitamin E), Vanilla Planifolia (Vanilla) Extract. Volumizing: Aqua (Water) with Fucus Vesiculosus (Bladderwrack Seaweed) Extract, Aloe Barbadensis (Aloe) Leaf Juice, Sodium C14-16 Olefin Sulfonate, Cocamidopropyl Betaine, Argania Spinosa (Argan) Oil, Hydrolyzed Barley Protein (gluten-free), Panthenol (Pro-Vitamin B5), Sodium Cocoyl Glutamate, Vegetable Glycerin, Cetrimonium Chloride, Babasuamidopropyl Betaine, Ricinus Communis (Castor) Seed Oil, Citric Acid, Sodium Laurylglucoside Hydroxypropylsulfonate (vegetable derived), Polyglyceryl-10 Laurate, Sodium Benzoate (natural version), Lavandula Officinalis (Lavender) Essential Oil, Hydroxyethylcellulose (plant derived), Potassium Sorbate, Decyl Glucoside, Gluconic Acid (plant derived), Tocopherol (Natural Vitamin E). Balancing: Aqua (Water) with Fucus Vesiculosus (Bladderwrack Seaweed) Extract, Aloe Barbadensis (Aloe) Leaf Juice, Sodium C14-16 Olefin Sulfonate, Cocamidopropyl Betaine, Decyl Glucoside, Sodium Cocoyl Glutamate, Argania Spinosa (Argan) Oil, Panthenol (Pro-Vitamin B5), Vegetable Glycerin, Hydroxyethylcellulose (plant derived), Ricinus Communis (Castor) Seed Oil, Babasuamidopropyl Betaine, Citric Acid, Sodium Laurylglucoside Hydroxypropylsulfonate (vegetable derived), Polyglyceryl-10 Laurate, Eucalyptus Globulus (Eucalyptus) Essential Oil, Sodium Benzoate (natural version), Potassium Sorbate, Gluconic Acid (plant derived), Tocopherol (Natural Vitamin E), Mentha piperita (Peppermint) Essential Oil. 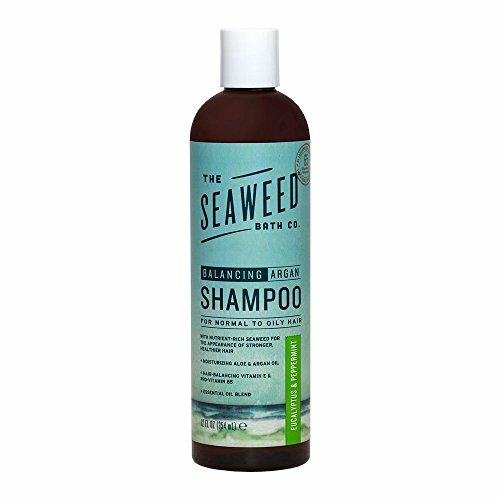 The Seaweed Bath Co. does not use any artificial colors, dyes or fragrances. They use pure, unadulterated essential oils to provide products with their amazing aroma-therapeutic scents, including lavender, peppermint and citrus. All colors in The Seaweed Bath Co. products result from the use of plant-based ingredients. No animal testing. Non toxic.